The Pac-12, specifically the North division, is a godsend. After a long day of football watching and a still heavy buzz, getting a brand new game with an 11pm start time here on the East Coast allows viewers to bridge the gap to NFL Sunday a little bit more efficiently than in previous years. This has the makings of a pretty boring (on a national scale) year for the division, all told, unless Oregon can replace Marcus Mariota, Stanford can regain the form that made it so prominent the four years prior to last, or Cal can score 75 points a game. But on a game-by-game basis? Hell yes sign me up for latenight Washington State/Cal. Well, Stanford fell off pretty aggressively, and in so doing made Oregon the winner by three games (in a nine-game slate). Oregon, of course, had the Heisman Trophy winner and had Ohio State do to them what they did to so many opponents last year: wear them out in the fourth quarter. For once, there’s enough room not to cluster some of these teams. 6) Oregon State: Remember a couple of years ago when Arkansas, in a scheme change, bottomed out completely? Expect that, except on Oregon State levels. And yes, it’s ironic that the guy who replaced Bret Bieliema at Wisconsin is the same guy taking on this project. This guy left Madison, Wisconsin and Rose Bowls for Corvallis, Oregon. Good luck with that. Chris Peterson finally left Boise State, and turned down overtures from tens of schools to end up at Washington. In his first year in Seattle, he went 8-6…and lost three top-50 picks in the draft. Something ain’t quite right about that. 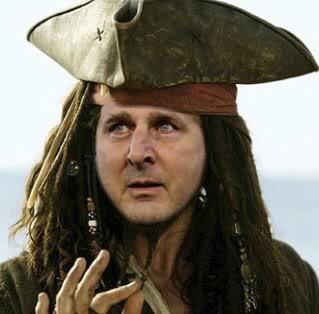 Injuries were a big factor for last year’s Huskies, but I still don’t see a quarterback and do see a step back on D.
Yep, I’m taking the Pirate to beat out Washington for supremacy in the Northwest corner of the country this year. Bring it. 3) California: We got through Washington State and now have an even more fun Air Raid offense? Hell. Yes. Sign. Me. Up. Jared Goff could be the ‘system’ QB that also happens to be really good, if you listen to preview shows as obsessively as I do. The Bears return 17 starters from a team that improved to 5-7 last year…and they could be a dark horse in the North. 1) Stanford: I think they’re going to be back in a big way this year. Kevin Hogan and the offense couldn’t get out of its own way last year, but they return 4/5 of the O-line and are always extremely hard-nosed. They lost three of their games by a combined nine points. 1) Oregon at Stanford, Nov. 14: The only intra-division game that should have any direct effect on who plays in the Pac-12 ‘ship. A big part of my rationale for picking the Cardinal is their wins in 2 of the last 3 vs. the Ducks. 2) USC at Oregon, Nov. 21: Ouch, that’s quite the back-to-back. And there may be about 200 plays from scrimmage in this one. 3) Washington State at Cal, Oct. 3: The zero-gravity no-defense bowl last year ended in a 60-59 score, a game in which Wazzu QB Connor Halladay threw for 734 yards…and lost. 4) Washington at Boise State, Sept. 4: Petersen returns to Boise, and has a chance to make me feel wrong about my low opinion of them before the first college football Saturday of the year. Also, fun things happen when Pac-12 teams travel to the SmurfTurf. 5) Oregon at Michigan State, Sept. 12: Probably a good bit higher in actual viewership, perhaps even #1 on the list. Oregon ran away with it in the fourth quarter last year, and Sparty has a chance to get revenge. This is an offensive conference, and this list will reflect such. – Jared Goff, Cal: He threw for just under 4000 yards last year as a true sophomore. Oddly, though I haven’t seen a Cal game in its entirety since Aaron Rodgers was there, the Bears have a lot of high-profile chances (including a trip to Texas and a Thursday night at UCLA). – Royce Freeman, Oregon: Whoa, I did not realize he was a true freshman last year. Considering his 1365 yards and 18 TD’s, he should take some of the pressure off of new QB Vernon Adams. – Blake Martinez, Stanford: the dude is everywhere, if everywhere is around the ball. 102 tackles, 3 interceptions, 4.5 sacks last year. He just seems like the next Stanford blue collar defender. – DeForest Buckner, Oregon: What better way to ‘de-forest’ the Pac-12 North of Stanford than a DE named DeForest? (Terrible pun. I know.) Buckner is in the Arik Armstead mold: tall, rangy DE, except he seems to make a more consistent impact, besting the first round pick in tackles (81-46), sacks (4-2.5) and TFL (9-3). – Luke Falk, Washington State: If Goff is going to make the list, the new Wazzu QB deserves to be on there as well. Posted on July 7, 2015, in 2015 College Football Previews, Blog, Oregon, Pac-12, Picks. Bookmark the permalink. Leave a comment.